Traveling and meeting new cultures is one of the best ways to spend your hard-earned money and if you have some hobbies like fishing is then even better for you. There are many islands worldwide that offer incredible fishing experiences and beautiful beaches to relax while your dinner is being prepared. Now, one of the best fishing regions has to be the Caribbean Sea – diverse marine life and many beautiful resort islands on which you can stay and enjoy your days. Aruba is a Caribbean Sea pearl and is one of the destinations that is becoming more popular by the year. Apart from the fact that the domestic people out there are sure to give you a great welcoming and help you with whatever you need, it is a beautiful island with a lot of marine life and white sand beaches. And let’s not forget – you will even get to hang out by some flamingos in the process. It is one of the best islands if you want to go for a fishing trip and the season lasts for almost the whole year. Let’s go ahead and take a look at the few reasons on why you should go for a fishing tour once in Aruba! Well if you decide to go fishing in Aruba chances are you can get some pretty good trophies and a nice dinner for your whole group. As mentioned above the season lasts for almost the whole year as long as the weather is adequate and stable. And as soon as you are more than a few miles from the island you will be enjoying the beautiful and diverse marine life. 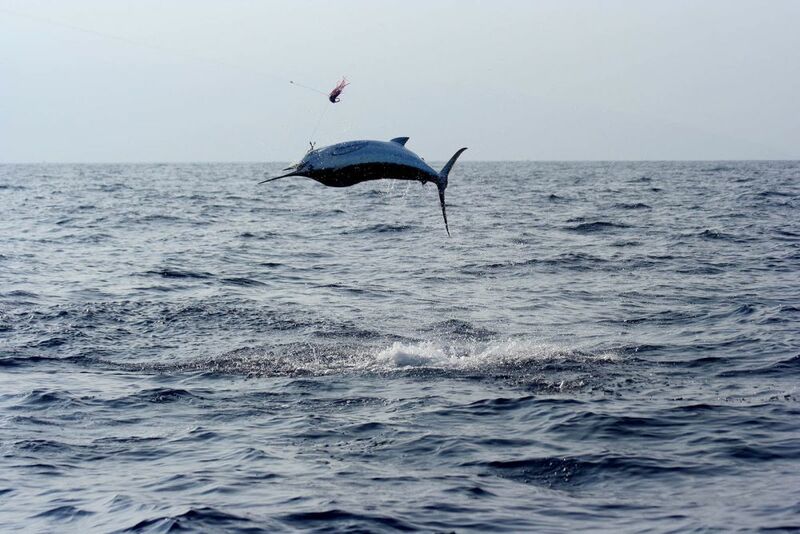 Some of the fishes that you can catch are sharks (yes, sharks); kingfish; sailfish; tuna; bonito; barracuda; and both blue and white marlin. Now, these are just some of the most common catches, and you shouldn’t be surprised if something other than that comes to your plate. Of course, people are going fishing for three different reasons: to catch a delicious meal; experience nature and meet people, and simply enjoy fishing as a sports activity. In whatever group you belong we guarantee you will be having some hell of a time! While you don’t need a fishing license in Aruba, there are still two many principles that you need to follow – no spearfishing and a catch and release policy in case of Billfish and other larger species. Now, there are three main options if you decide to go for fishing in Aruba: trolling; bottom fishing; and deep sea fishing. 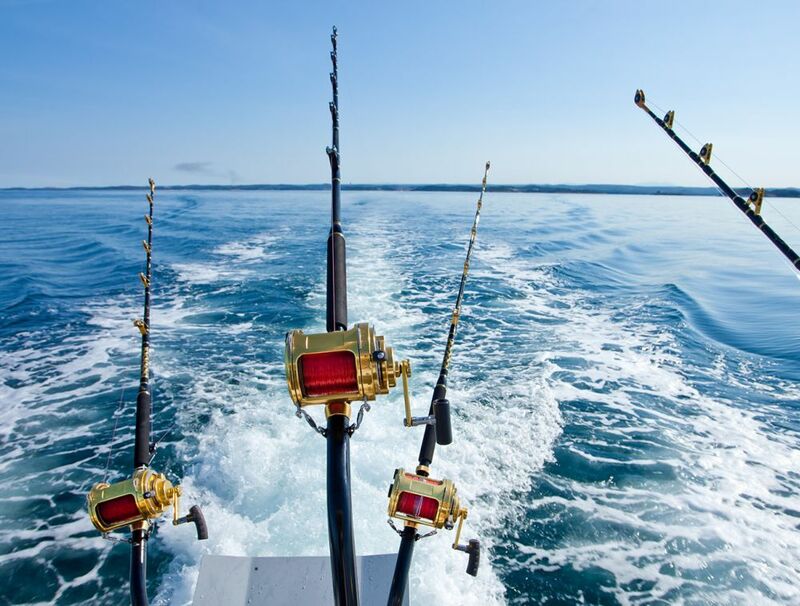 Deep sea fishing is certainly the most fun and your chances of having a worth its time and getting a few trophies in the process are much higher. 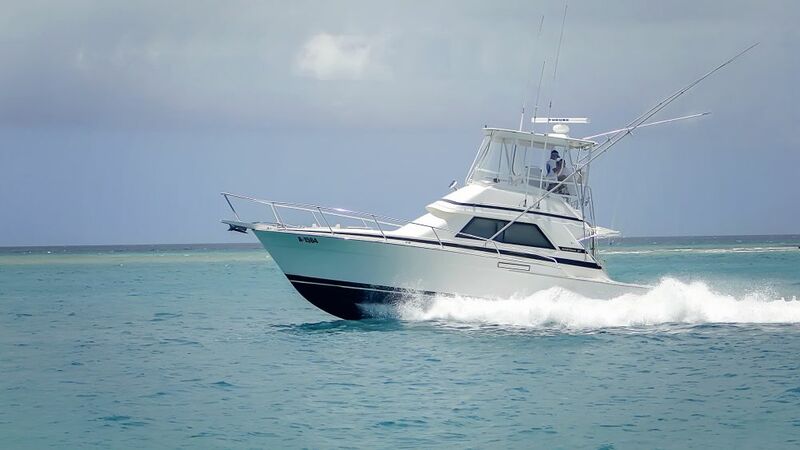 A charter boat for any of this fishing trips is usually $100 per hour – so for a full day of fishing (8 hours) you will pay $800 but believe is it is absolutely worth it. You get all the equipment needed, a meal included as well as a few welcoming drinks. Let’s not forget fishing in Aruba is going to provide you with an amazing social experience, meeting likeminded people and maybe even forming lifetime friendships! If you are a fan of fishing and you are thinking about what island you should visit we would absolutely recommend Aruba. A beautiful island, with a variety of activities and resorts you can stay at. Fishing is one of the most popular activities in this region, so you will not have a problem finding a nice charter group and enjoying your time out in the open sea!